Despite its different designation, the river gunboat was in reality the riverine counterpart of the sea-going monitor, but because of its supposed limitation to more confined waters was a far smaller vessel with a correspondingly lighter armament optimised for the bombardment of river bank targets. In February 1915 the British ordered 12 ‘Fly’ class river gunboats of a 98-ton normal displacement and with a primary armament of one 4-in (101.6-mm) gun, and followed in December of the same year with an order for another four of the class, which were all built by Yarrow. These useful little vessels were intended for operations on the Tigris and Euphrates river of Mesopotamia against the Turks, and in an effort to disguise the fact were generally called China gunboats. In February 1915 the Admiralty also ordered the 12 larger units of the ‘Insect’ class of river gunboats. These were intended for projected operations on the Danube river against the Austro-Hungarians, and to conceal their intended operational theatre were generally know as large China gunboats. The Danubian operation did not materialise, and the first four of the vessels were in fact used in Mesopotamia alongside the ‘Fly’ class vessels. Small but well armed, the ‘Insect’ class vessel was designed by Yarrow, which also provided the propulsion, and was created to operate in shallow fast-flowing rivers, with a shallow draught and a good turn of speed to ensure useful progress against the current. The propulsion arrangement was basically an enlarged version of the single-shaft arrangement of the ‘Fly’ class, with two mixed-firing Yarrow boilers delivering steam to triple-expansion engines driving two propellers accommodated in tunnels to minimise the operating draught and also to provide a measure of protection against typical river debris passing beneath the hull. The 12 vessels of the class comprised Aphis and Bee built by Ailsa Shipbuilding, Cicala, Cockchafer, Cricket and Glowworm built by Barclay Currie, Gnat and Ladybird built by Lobnitz, Mantis and Moth built by Sunderland Shipbuilding, and Scarab and Tarantula built by Wood Skinner. All 12 of the vessels were launched in 1915/16. Though the primary armament was two 6-in (152-mm) QF L/40 Mk VII guns in single mountings, in 1916/17 Cicala, Cockchafer, Cricket and Glowworm received a temporary rearmament of two 6-in (152-mm) QF Mk II on CP II anti-aircraft mountings, providing an elevation of 53.5°, for use against Zeppelin airships. 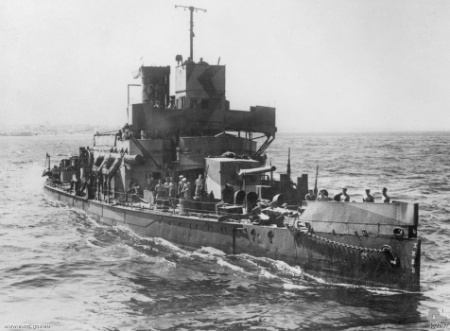 None of the class fought on the Danube river, as by the time the craft were completed, Serb resistance had collapsed and there was therefore no Danube theatre, so the vessels were operated in other theatres where their shallow draught and firepower were useful for the support of land operations. Aphis, Bee, Ladybird and Scarab were sent to Port Said from November 1915 to April 1916 for possible service on the Suez Canal, and Gnat, Mantis, Moth and Tarantula were towed to the Persian Gulf early in 1916 for service in Mesopotamia. Cicala, Cockchafer, Cricket and Glowworm were despatched to the east coast of England (Cicala and Cricket in the Humber estuary, Cockchafer at Brightlingsea, and Glowworm at Lowestoft) to use their revised armament in the effort to deter Zeppelin raids on the British mainland, and then in September 1918 were redeployed to Arkhangyel’sk in northern Russia for operations on the Dvina river as part of the British response to the Bolshevik revolution and to aid the White forces in the Russian Civil War against the Red forces. Glowworm was severely damaged at Bereznik on 24 August 1919 when ammunition barge exploded alongside, killing her captain and several other members of the crew. Aphis and Ladybird patrolled the Danube river between November 1918, after Austria-Hungary’s surrender, and March 1922, Aphis being replaced by Glowworm in 1920. Bee and Scarab were despatched to Hong Kong in March 1918, followed by Gnat and Tarantula. Cicala, Cockchafer, Cricket, Mantis and Moth were towed out from England to the Far East in 1920, leaving Glowworm on the Danube river as Aphis and Ladybird laid up at Malta. Cicala was sunk by Japanese aircraft at Hong Kong on 21 December 1941. Cricket was crippled by bombing in the Mediterranean on 29 June 1941 and laid up at Port Said, her hull being stripped and sold for breaking up in 1942. Gnat was torpedoed in the Mediterranean by U-79 on 21 October 1941, laid up at Suez and sold for breaking up in 1945 after being stripped for spares. Ladybird was sunk by air attack off Tobruk on 12 May 1944. Moth was scuttled at Hong Kong on 21 December 1941, but was raised by the Japanese and recommissioned as Suma, which was mined and sank in the Yangtze river on 19 March 1945. Tarantula was sunk as target off Trincomalee on 1 May 1946. Finally, Aphis, Cockchafer and Scarab were sold for breaking up between 1947 and 1949. 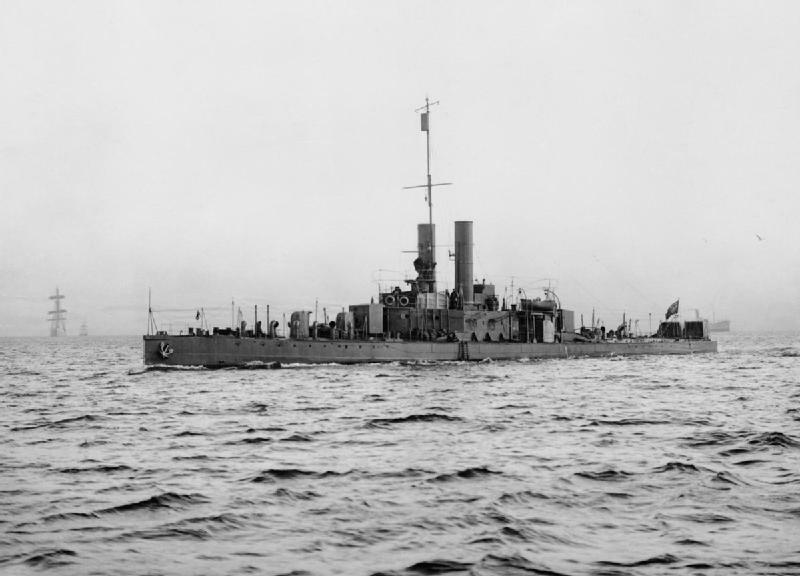 In northern Russia the crew of Cicala mutinied, as part of a wider wave of unrest in the Royal Navy about pay, conditions and demobilisation, and five ringleaders were sentenced to death, later commuted to imprisonment for five years. Between the two world wars, the class was used primarily in the Far East, and saw some service after the Japanese invasion of China. As noted above, in 1937 the Japanese attacked Ladybird, firing on her from a battery on the bank of the Yangtze river. 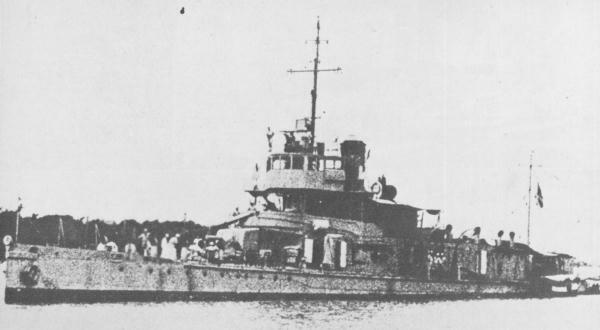 Panay, a US gun boat, was also attacked, in this instance by Japanese aircraft, and sunk. Ladybird sailed the 20 miles (32 km) to the scene of the attack, took on board some of Panay’s survivors and steamed down the river to deliver them to Shanghai. Scarab and Cricket were off Nanking in 1937 as the Japanese started to bomb the city. In 1939, the original two 6-in (152-mm) Mk VII L/45 guns on Aphis and Ladybird were replaced by more modern 6-in (152-mm) Mk XIII L/50 guns from the decommissioned battleship Agincourt: 30 in (76.2 cm) longer than the Mk VII weapons, the Mk XIII guns provided greater range and accuracy. At the start of World War II, Cricket, Gnat and Ladybird were transferred to the Inshore Squadron of the Mediterranean Fleet to supplement the monitor Terror in the provision of bombardment support for the 8th Army. Their shallow draught also allowed them to act also as supply and landing vessels. The data for the ‘Insect’ class gunboats as built included a normal displacement of 645 tons, length of 237 ft 6 in (72.39 m) overall, beam of 36 ft 0 in (10.97 m), draught of 4 ft 0 in (1.22 m), propulsion by triple-expansion steam engines delivering 2,000 ihp (1491 kW) to two shafts for a maximum speed of 14 kt, fuel capacity of 89 tons (54 tons of oil and 35 tons of coal), armament of two 6-in (152-mm) QF Mk VII guns, two 12-pdr guns and 6 0.3-3in (7.7-mm) machine guns, and crew of 53. Later armament variations included one 3-in (76.2-mm) QF anti-aircraft guns, one 2-pdr pom-pom anti-aircraft gun, 20-mm cannon and 0.303-in (7.7-mm) Lewis machine guns.